Delegates may take complimentary tours during the conference in a rigorously planned educational and cultural program. Click here for more information. The minimum registration fee for each conference is US$295. because chances are you only learn about things you know already." Around the turn of the century, in Rhode Island, a group of Bryant College professors from different departments would frequently meet for lunch, sharing ideas over a Sodexo meal. The members of this group included Pat Keeley, Pedro Beade and Glen Camp. Pat, known for his Irish wit, would frequently remark sarcastically that a new international journal, a multidisciplinary one, was needed to record the group’s thoughts. Nobody would think anything of Pat’s tongue in cheek comment but the eccentric and affable Glen Camp, a multilinguist who had spent the early years of his career as a policy director for the U.S. State Department in Europe, would each time raise his glass and reply “Superbe! Magnifique!” At first it was thought that Camp was acting theatrically in jest but it soon became apparent that he was obsessed by the remark that Keeley would generously repeat over time, if for nothing else, to elicit the predictable reply. A Harvard alumnus and Fulbright scholar, Camp was the founder of the Rhode Island branch of Amnesty International, and he saw in open and multidisciplinary communications a catalyst for international education and harmony across geographical boundaries. He envisioned how a journal of this nature could promote study abroad programs. Sitting at the same table would be Dean Earl Briden whose pet project at Bryant was to get the faculty to think outside the box. Bryant students had for decades participated in study abroad programs and Dean Briden was actively involved in the extensive documentation of the programs. One may imagine the Dean’s generous words of encouragement to Camp. This led Camp to prod Pedro Beade for advice about securing funding for the journal and academic conferences. As a board member of the Rhode Island Committee for the Humanities, Beade was an expert in grant writing and had the right connections. Camp was the favorite professor of the international students at Bryant, and Beade who had been raised in Cuba believed in Camp’s vision. In 2008, Bonnici was asked to facilitate major changes at IJAS and to extend the organization's outreach beyond American academia. Sticking closely to Camp's philosophical blueprint, IJAS formally became an organizer of conferences promoting study abroad programs. The multidisciplinary content of the research remained the same but the format changed from a “traditional American" to an "international study abroad” format. IJAS also started disseminating its articles in electronic format, thereby increasing its articles’ access across the world. Over fifteen professors in the Connecticut State University (CSU) system including Henry Greene, Khoon Koh, Carlos F. Liard-Muriente, and Bonnici himself have been instrumental in coordinating IJAS' conferences. Without the university's support for its research faculty, IJAS's global drive would not have lasted for so long. 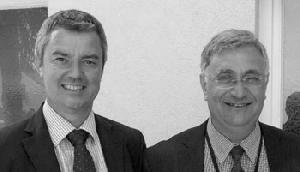 On the other side of the Atlantic, two persons have stood out in IJAS’ success in Europe. One was Volker Kieber who jettisoned IJAS beyond its American base to link up with Eucor, the Upper Rhine University with campuses in three European countries. As a result of this university partnership, IJAS went on a tear solidifying its European program. The other highly productive relationship happened shortly thereafter with the University of Malta. With a campus in the center of the Mediterranean and historical ties to the Knights of Malta at the Anglo-American University in the Czech Republic, this resulted in a continuation of conferences in various European countries. The University of Malta’s Joseph Azzopardi, a Department Chair fluent in German, further nurtured IJAS’ close relationship with German and Austrian universities which sponsor a number of IJAS’ conferences. In line with the above developments, IJAS' editorial board actively solicited international research. Today, IJAS' articles are indexed or accessed in (i) WorldCat, (ii) Ulrich's serials directory, (iii) Cabell's directories of Educational Curriculum & Methods and Educational Psychology and Administration, (iv) ProQuest, (v) Pol-On, the Polish scholarly bibliography operated by the University of Warsaw, (vi) Genamics, (vii) EBSCO, and (viii) Google Scholar - click here. The American presenters [were] highly energetic and data driven about helping low income NYC students... The Polish presenter had highly multicolored slides about how the sounds of poetry make us happy. The German presenter and the Romanian presenter [spoke] about theology. The grad student in English studies read a paper full of whimsical self disclosure about reading Mrs. Dalloway in the tub. An Israeli Buddhist gave a moving account of his moment of enlightenment in the Judean desert. Having such variety in culture, kinds of questions being asked, and styles of presentations is an experience of widening the world that would not occur in discipline specific situations. This pulls you out of your silo if you let it. The universities of Freiburg, Basel, Strasbourg, Karlsruhe and Mulhouse-Colmar formed an association in December 1989 to create the European Confederation of Upper Rhine Universities, also known as Eucor. Every December, IJAS hosts a conference in Freiburg to commemorate this event. The avowed intent of the Eucor network and its signatories, including every IJAS conference, is to create international cooperative initiatives in the realms of education, research and culture. FLORENCE CONFERENCE (June 2018). The tower may be leaning in the background but no worries as the smiling delegates pose in front of the marvels of Italian architecture. INTERNATIONAL PRESS (2014): Our conferences continue to generate interest in the international press. On the left is a clip from the Italian daily Il Giornale di Vicenza based on an interview with Dr. Ratna Lindawati Lubis of Telkom University, Indonesia. 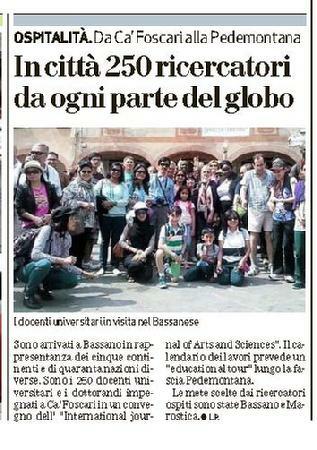 The article mentioned how 250 international academics toured areas of cultural and historical interest during their IJAS conference in Venice. 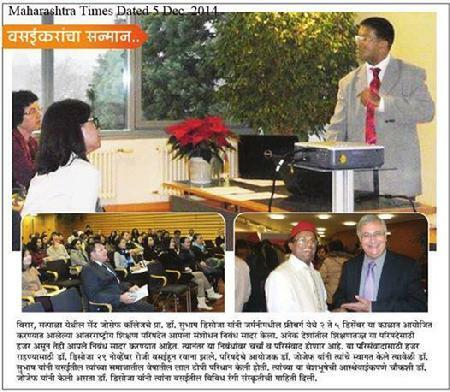 On the right is a cutting from the Maharashtra Times in India, after the Freiburg Christmas conference. The bottom right insert shows IJAS Coordinator Dr. Joseph Azzopardi introducing Dr. Subhash D'souza of Mumbai University to the delegates. Among other contributions, Dr. D'souza serenaded the main hall (in adjacent insert) with Yuletide flute music during the conference opening. 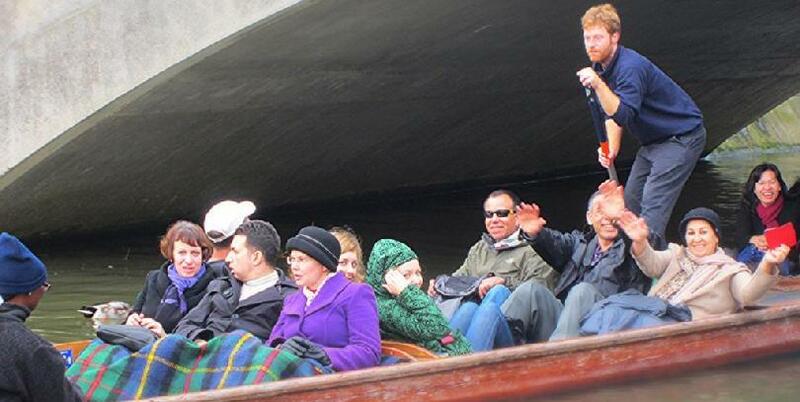 UNIVERSITY OF LONDON CONFERENCE (November 2014): Conference delegates waving back during one of our 27 chauffered river tours in Cambridge. The tours enabled us to see the riparian colleges in comfort and style. 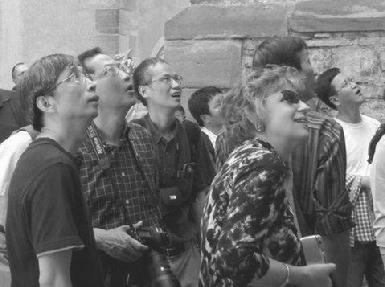 FLORENCE CONFERENCE (April 2014): Our Italian tour guide's witty comment about a historical monument draws a reaction. PISA (April 2014): The whole imposing edifice of the celebrated tower rose tall behind us. GERMANY CONFERENCE (December 2013): It's late Wednesday evening and three sessions are still running at our Germany conference. 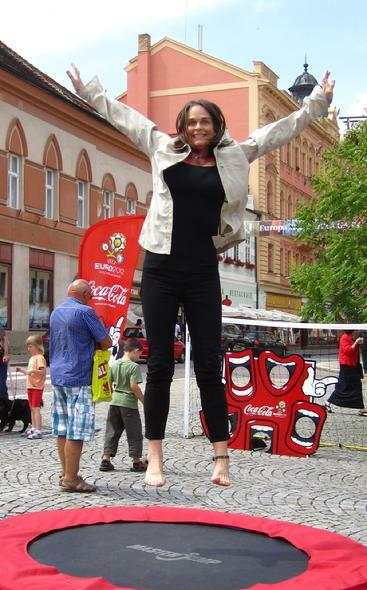 The smiles in the above session are truly heart-warming in the six-day grueling schedule that included countless presentations and as much as free tours to the Black Forest, Strasbourg, Alsace, Basel and Heidelberg, in Germany, France and Switzerland. Heavily subsidized by a European Union grant the annual conference has a loyal following both among our delegates and the German press (click here and here). 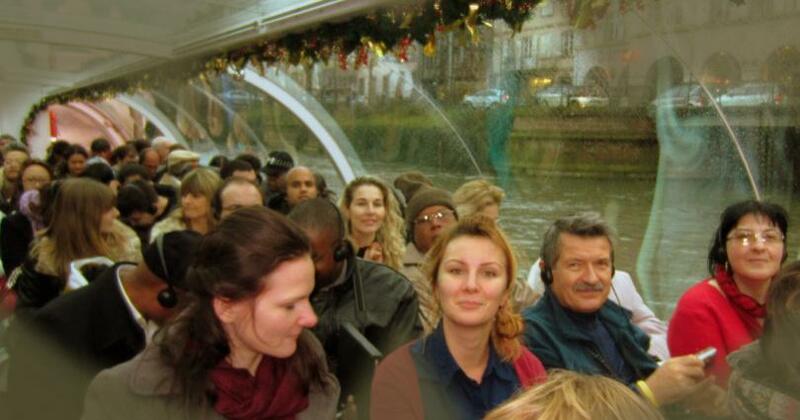 STRASBOURG, FRANCE (December 2013): Christmas is in the air as the above passengers, all IJAS delegates, are about to cruise on the concentric river while listening to an in-depth lecture, spiced with humor, about the city's history. Our annual conference in the outskirts of Freiburg, Germany, continues to attract hundreds of delegates. Spanning over six days, it promotes study abroad programs in Germany, Switzerland, and France's Alsace and Strasbourg. PROVENCE CONFERENCE (May 2013): IJAS delegates line up in front of Avignon's famous bridge - le pont d'Avignon - that gave rise in France to a well-known song by the same name. CONFERENCE ON THE HARVARD CAMPUS (May 2013): Seeking a place in the shade in the Radcliffe garden, Professor Pellegrino Manfra (center) listens attentively during a break. 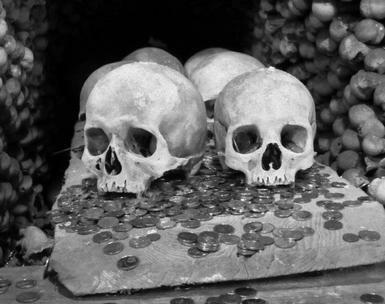 Professor Manfra's earlier presentation was entitled Moral Decadence, Decay and Hazard: Causes of the Current Financial Crisis. Over 500 delegates attended this conference.